I don’t know what it is about sliced tourmalines. I love to work with them. They come in all shapes, colors and sizes. 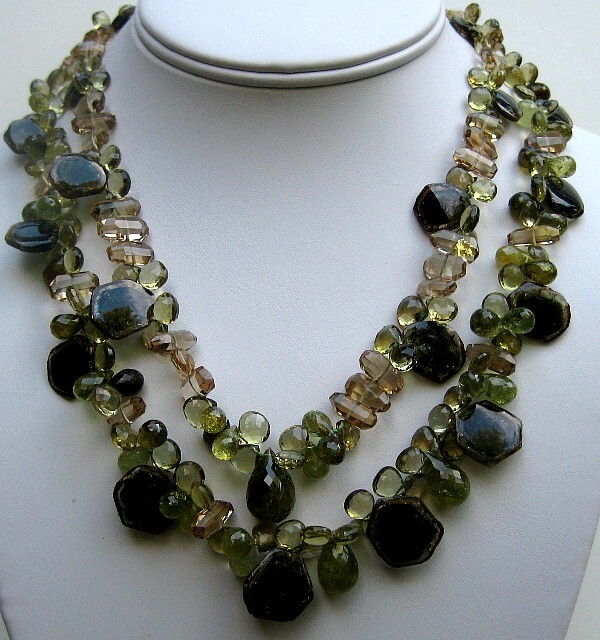 The tourmaline slices in this necklace have black center with flecks. The edges are a light brown. I also wanted to make something with colors you don’t see too often. 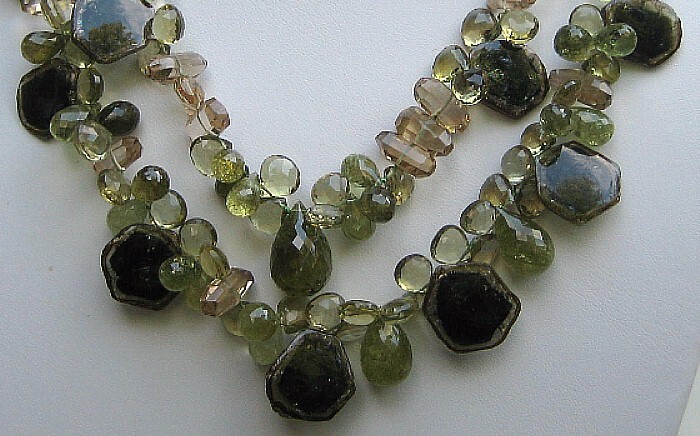 I mixed in Grossular Garnets, Olive Quartz, and Champagne Quartz to make the slices stand out. These are two separate necklaces on purpose. I wanted the wearer to have a choice. Wear both together or one at a time.